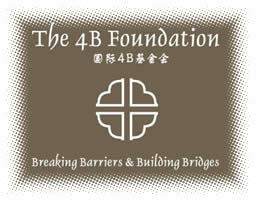 Regardless of age, gender, ethnicity, national or international borders, politics, philosophy, or religion, the goal of the International 4B Foundation is to improve the quality of life of the poor and needy in China and in other countries. ＾Our goal is to build bridges and break barriers and do whatever it takes to help people help themselves and others to live a more productive and higher quality life,￣ said Professor O¨Brien. Link China, a large educational corporation based in Wuhan, Hubei Province, supports the work of the International 4B Foundation. Like the International 4B Foundation, Link China believes that individuals and corporations which have benefited from the community have a social responsibility to return something to it beyond taxes.